Manish Shah, MD, is the Program Director of Cardiac Electrophysiology Training at MedStar Washington Hospital Center and MedStar Georgetown University Hospital, as part of MedStar Heart & Vascular Institute. He is board certified in cardiac electrophysiology, as well as cardiovascular disease, and is a recipient of the general cardiology faculty teaching award at MedStar Georgetown University Hospital. Dr. Shah specializes in the management of slow and fast heart rhythm disorders, including atrial fibrillation, supraventricular tachycardia (SVT), and ventricular tachycardia. He has special expertise in complex ablation procedures to treat atrial fibrillation, premature ventricular contractions (PVC's), and ventricular tachycardia. Additionally, he is the leading implanter of left atrial appendage closure devices (also known as the WATCHMAN device) in the mid-Atlantic region. His research interests include the use of catheter ablation techniques to improve outcomes for patients with atrial fibrillation and optimizing implantation of left atrial appendage closure devices. 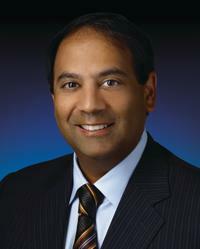 Dr. Shah received his biomedical engineering and medical degrees from Case Western Reserve University. He earned several academic distinctions, including induction into the AOA Honor Medical Society and the Howard Hughes Medical Fellowship. He subsequently completed his internal medicine residency at Harvard Medical School's Brigham and Women's Hospital. He then went on to complete a fellowship program in general cardiology at the Johns Hopkins Hospital, where he stayed to complete an advanced fellowship in cardiac electrophysiology as chief fellow. When not advocating cutting-edge care for his patients, Dr. Shah enjoys spending time with his two children. "Honesty, transparency, clear communication and patient education are the pillars of my practice. Your good health is my personal responsibility, and I strive to be accessible, compassionate and on the vanguard of new medical technology. The focus of my initial consultation is patient education through the use of clear and simple language so that you can make informed decisions that serve you best. If you require an electrophysiologic procedure, we have a team of doctors, nurse practitioners, and nurses who will provide you with comfort, reassurance and world-class, cardiac care."